Perhaps you received a beautiful cyclamen as a Christmas present. Cyclamen are traditionally a Christmas time plant because their delicate orchid-like blooms are at their fully glory in mid-winter. As the blooms start to fade, you may wonder how and when to fertilize a cyclamen. 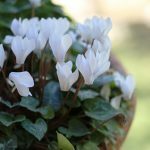 Read on to learn about feeding cyclamen plants. Generally, a complete houseplant fertilizer for cyclamens is recommended, like a 10-10-10 or 20-20-20. Fertilize every 3-4 for weeks. Cyclamen plants with yellowing leaves may benefit from a complete houseplant fertilizer with added iron. To promote and prolong blooms, feed cyclamen plants with a fertilizer high in phosphorus, like 4-20-4, at the beginning of winter just as blooms start to develop. Cyclamen plants like slightly acidic soil and can benefit from an acid fertilizer once a year. 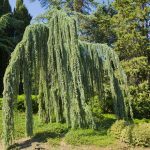 Too much fertilizer can cause lush foliage but not many blooms. Cyclamen plants bloom in winter and then generally go dormant around April. 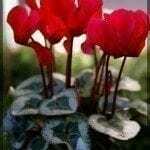 During this bloom period is when cyclamen fertilizing needs are the greatest. In fall, or early winter, fertilize with a low nitrogen fertilizer every other week until blooms appear. Once blooming, it is only necessary to feed cyclamen plants every 3-4 weeks with a well-balanced houseplant fertilizer. In April, when the plant starts to go dormant, stop fertilizing cyclamen.